3D printers are not necessarily expensive. 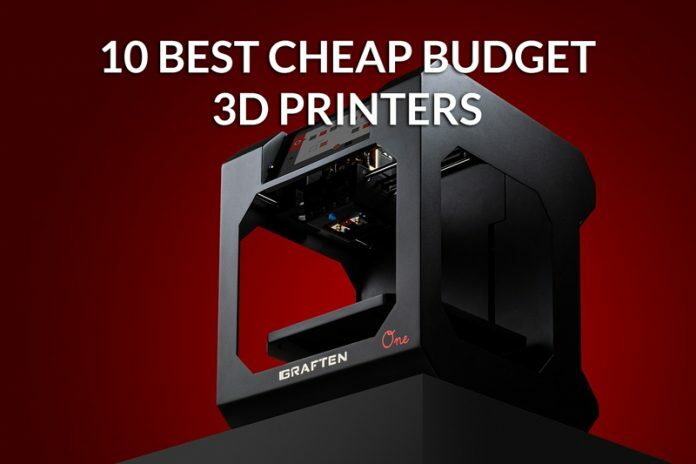 If your budget is tight and you want to purchase your first 3D printing machine we are here to help you find the best budget 3d printer on the market. Are you interested in 3D printing but your money is scarce? Do you want to own a 3D printing machine but you are afraid that you can’t afford it? 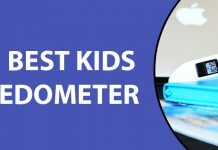 If you say “yes” to any of the questions above, then you are looking for a budget 3D printer. Right? Don’t worry because there are a lot of cheap 3D printer for sale and we are here to help you find it. A decade ago, 3D printers cost over $100,000. At the time, it’s too expensive to own one. Fortunately, today, there are more 3D printer manufacturers and thanks to the competition, you can find a lot of low price 3D printer on the market. 3D printing is the trend today, which makes the demands for 3D printers high. However, not as high as the supply. The supply of 3D printers remains high compared to its demand causing its price to drop. Today, more brands are into creating the best 3D printers and there are already cheap DIY printer kits, so expect to find more inexpensive 3d printers on the market. Here’s a list of the top 10 affordable 3d printers under $1000. Please take note that the price is subject to change without prior notice. For those who are looking for 3D printer best buy, here are the brands that you should consider. All of these are priced below $1,000 and each of them has a good reputation for producing high-quality output. This 3D printer has a heated build plate and comes with a micro SD card and sample PLA filament. It has a compact design with a small footprint and basic open frame design. Due to its heated build plate and wide range of extruder temperature, this 3D printer can work with any type of filament from the basic filaments like ABS and PLA to the more advanced materials such as conductive PLA, wood and metal composites or dissolvable PVA. Monoprice Select Mini 3D printer is fully assembled and can be used right out of the box. Considering its price and features, this model is one of the best value 3D printers on the market today. If you are interested with DIY 3D printers, Alunar 3D Printer is a great device to start with. This low cost 3D printer is designed to provide redefined usability, quality prints, and impressive performance. It is easy to assemble and is constructed for a quick set up. In fact, even if you are not good with building models, this kit will work for you because the setup does not require any soldering. It comes with assembly instruction and free software from the SD card included in the package. If you want to be guided accordingly by watching how to carry out the assembly, there are YouTube videos online that will guide you through the entire assembly. This device comes with easy Z-offset calibration, adjustable print bed via the LCD screen and a max print speed up to 100mm/second. This 3D printing device also supports bio-degradable PLA plastic filaments and comes with free XYZmaker 3D design software, free XYZware 3D printing software and free XYZprinting STEAM 3D printing curriculum. XYZprinting da Vinci Jr. proves to you that big things come in small packages. With its easy calibration, enclosed design, non-heated print tray and bio-compostable, non-toxic PLA filament, you should understand why it makes into our top budget 3d printers list. This 3D printer is fully assembled with metal frame and open platform. It has a metal plate print bed with an auto-leveling probe that works with an open source computer software to provide a level print surface. This 3D printing machine has a maximum resolution of 100 microns with USB and SD card for connectivity. It also includes a sample filament to help you get started. Printrbot Play is one of the best affordable 3d printers that you will surely love. This entry-level 3D printer is designed for anyone who wants to engage in 3D printing. This 3D printing device is a pre-assembled steel frame Prusa i3, the best-selling RepRap on the market, so you don’t need to build a kit. Also, unlike most Prusa this 3D printing device comes with a standard custom electronics housing. It also includes a mk10 single extruder, a gcode based micro-controller, and a standard heated build plate. This machine is worth every penny. It is the ultimate RepRap. FlashForge Finder has a 3.5-inch full-color touch screen with intuitive icons for easy and smooth operation. It is also equipped with a sturdy, plastic alloy construction and non-heated built plate for a stable print and safe operation. It also comes with a slide-in build plate that allows for easy removal of the printed object and offers Wi-Fi, USB and flash drive connectivity. This 3D printer is quiet, non-toxic and user-friendly. 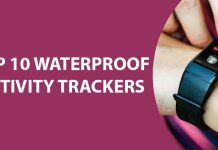 It offers easy-to-use features and is designed for home and classrooms. This 3D printing machine is user-friendly and smart making it one of the best affordable 3d printers that you can find out there. This 3D printer is a registered trademark of Edify Technology Inc. It uses fused deposition modeling (FDM) technology and comes with a dual extruder that encourages you to unleash your creativity. QIDI TECH 1 is equipped with an aviation level aluminum plate and a completely flat surface to avoid warping during the heating process. It also comes with a full metal external frame that is stronger than the PVC plate and wooden frame. This 3D printing machine utilizes easy to use software for a simple customization of 3D model and a high heat-resistant metal platform support, which is an improved version of the plastic support that was used before. This 3D printer is fully assembled and calibrated, so you can use it right out of the box without the hassle of assembly and calibration. It has a massive build volume, quality 3D prints, heated print bed that prevents uneven cooling and warping of printed parts and automatic bed leveling to ensure precise prints. It can print layers up to 100 microns of resolution and can fabricate parts using a wide array of materials include ABS, PLA, t-glase, lay wood, HIPS, and flexible filament. It comes with 24/7 customer support and a 6-month part replacement warranty. This 3D printer has a sturdy metal frame that is more stable than the initial wood frame used in its predecessors. It also has an aviation level aluminum plate and completely flat surface to avoid warping during the heating process. The metal platform support includes a 10mm guide rod to ensure a precise Z axis movement and prevent platform arm from deforming. This 3D printing machine also comes with an enclosed chamber that insulates and protects ABS prints. For your peace of mind, FlashForge Creator Pro includes a full manufacturer’s warranty and lifetime support from the expert FlashForge technicians making it the best 3d printer for the money. 10. Dremel Idea Builder 3D Printer If you want a ready to use 3D printer, Dremel is for you. It is pre-installed with an extruder and can be used right out of the box. It is equipped with a full-color touch screen for optimal object preview, a large build platform to cater bigger projects and an easy to use software for simple customization of 3D models. This 3D printer is recommended with Dremel PLA filaments and works well for daily heavy-duty use. [su_note note_color=”#E2F0FC”]If you are looking for the best inexpensive 3d printer, These machines are the best 3D printers below $1,000 on the market. They are equipped with good materials, offered quality prints and are made of reliable materials. These 3D printing devices are a great starter kit for anyone interested in 3D printing. So, if you are considering to get your the most affordable 3d printer, you should consider any of the machines on the list. You can also check out about 3D printing pens which are great for starters.